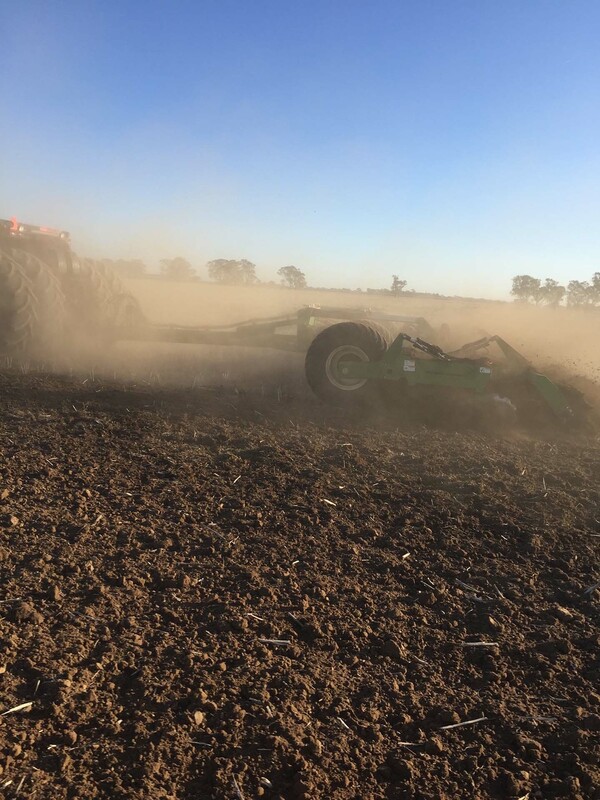 If you’re in the market for a Great Plains, Joker, K-Line, Vaderstad, high speed disc: Kwik Till, High speed tillage is the proven alternative. 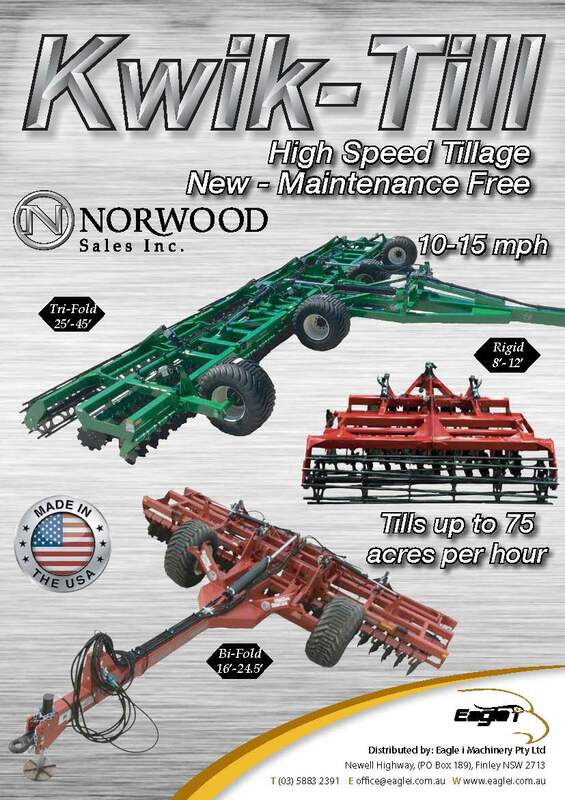 Eagle i are proud to offer the Kwik Till high speed discs. 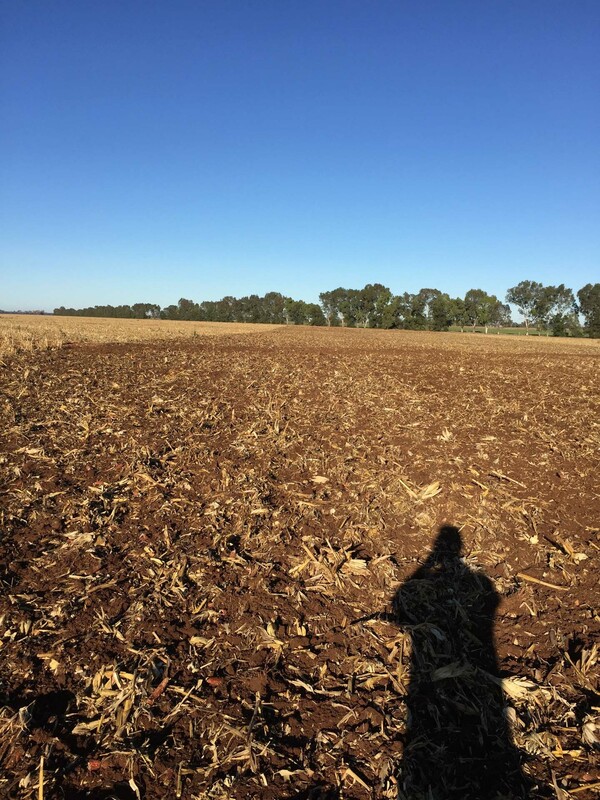 Ideal for rice tillage, broadacre weed management, canola tillage and general irrigation tillage. Often known as a quick till, or high speed disc, the Kwik Till is the result of thousands of hours experience in the field. We believe we have the best machine on the market, simply because of the results. 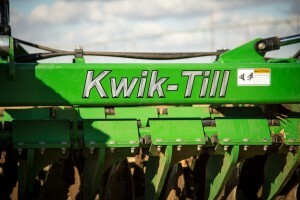 What differentiates the Kwik Till from other high speed discs is that the weight is evenly distributed between the high floatation tyres at the front and the roller at the back of the machine. 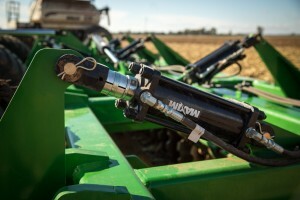 The depth is then set with simple hydraulic ram collars to enable an accurate working depth with minimum pressure on your hydraulic system. 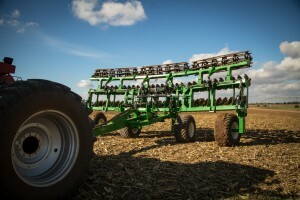 The Kwik Till high speed tillage disc or high speed disc operates best at speeds of around 16-24km/h and depths of 2.5-12.5cm. 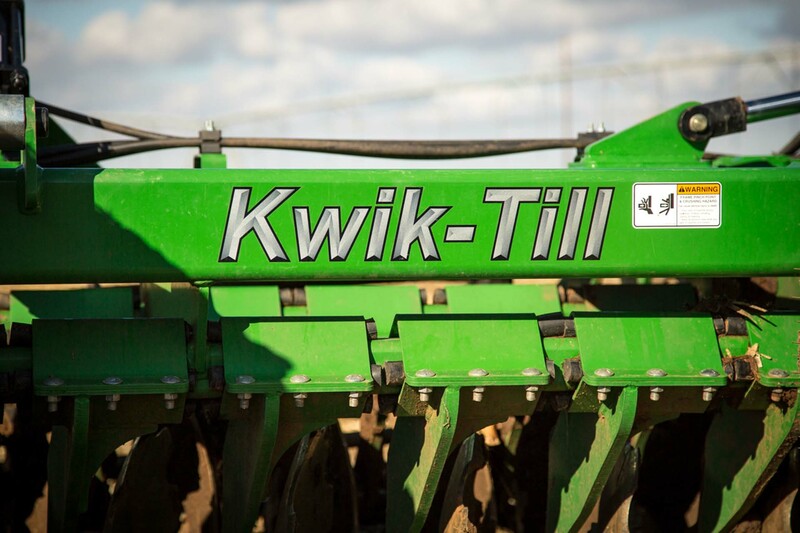 Kwik Till is built to last, the highest quality workmanship and bearings ensure years of hassle free work. 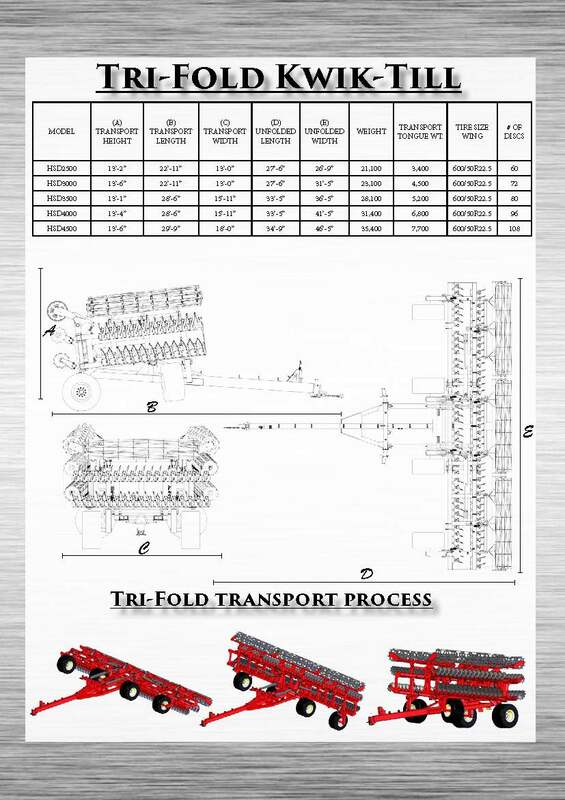 Widths are available from 8ft-45ft towable and 8ft-20ft three point linkage machines. 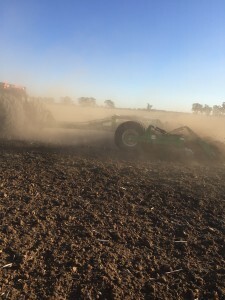 If you’ve been thinking about high speed tillage and looking at Great Plains, Joker, K-Line, Vaderstad, high speed disc Kwik Till is the proven alternative. 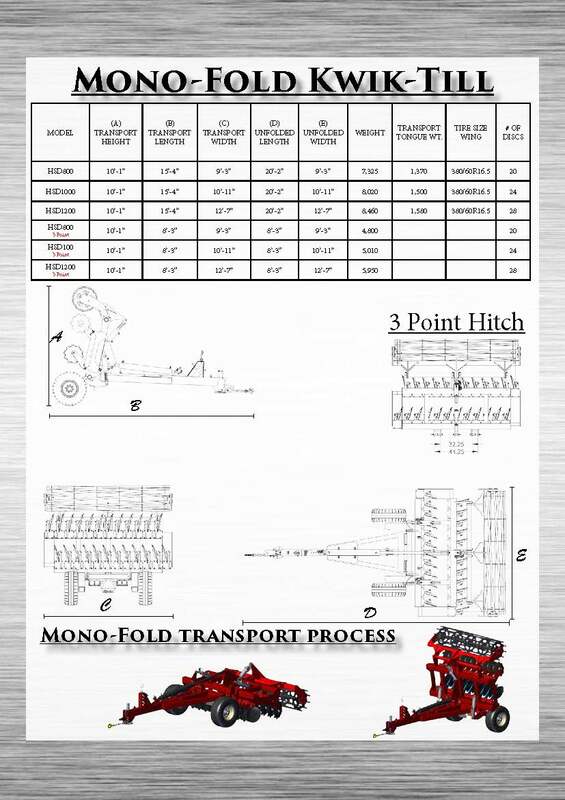 If you’re still not sure you’re welcome to hire the machine and give it the ultimate test. 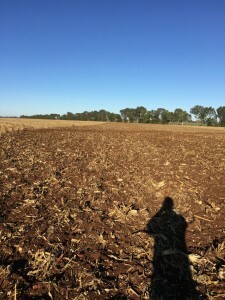 The rate is $10 per acre ex Finley. Try it, and see for yourself. 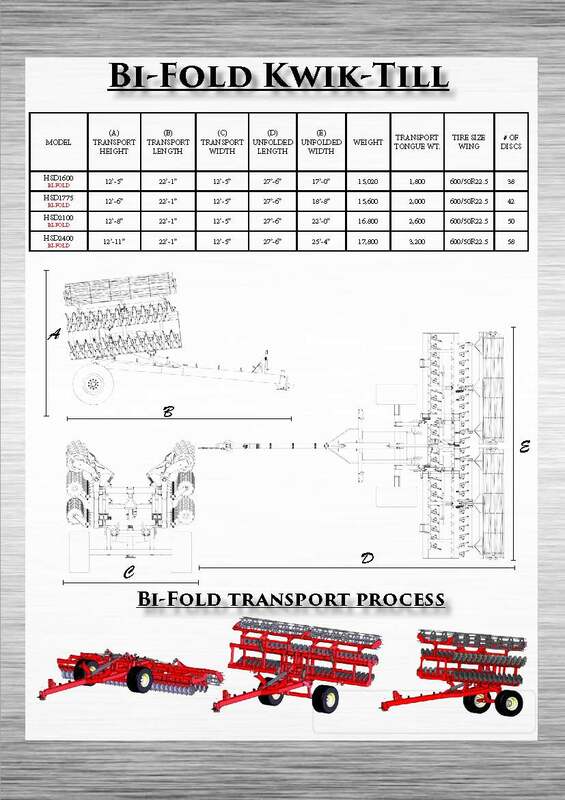 Goodyear 600/50R22.5 Tires (2/per Bi-Fold – 4/per on Section Machines). 17° front row angle, 14° back row angle, 10” spaced independent shank.